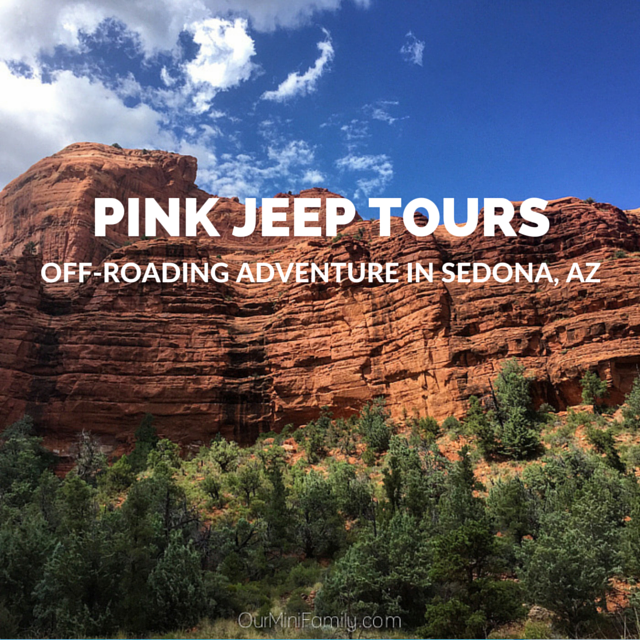 Have you ever heard of Pink Jeep Tours? 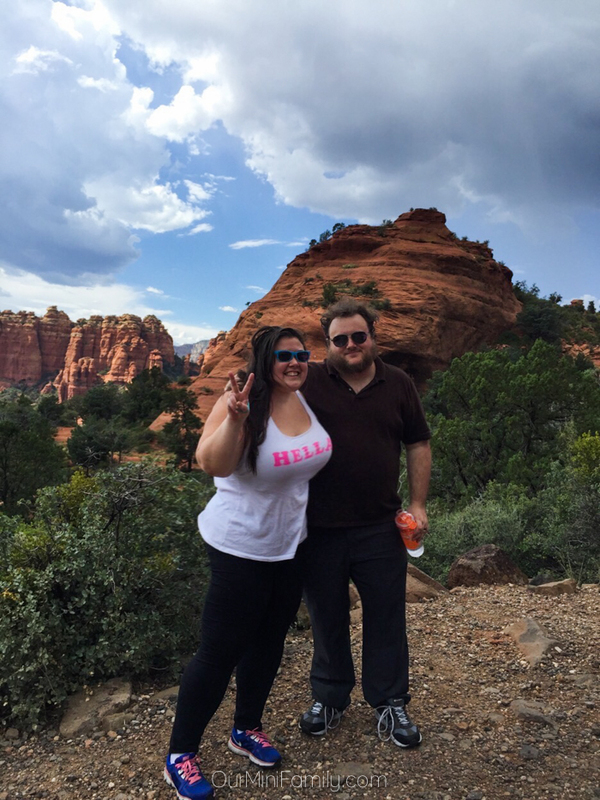 They are all over different parts of Arizona and even in Las Vegas--last weekend, Adam and I did our very first Pink Jeep Tour in Sedona and it was UNBELIEVABLE! 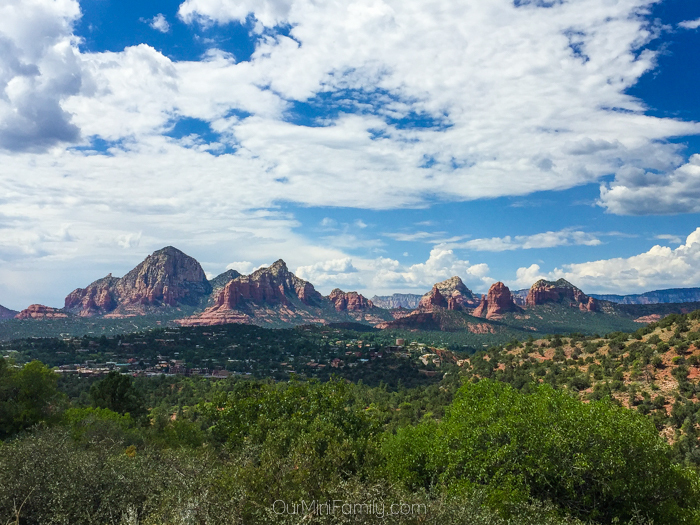 Today, I'm sharing all of the details from our tour--special thanks to Pink Jeep Tours Sedona for hooking us up and giving us such a memorable experience! Once our tour guide called out our name from everyone waiting in line, Adam and I jumped into the back of a pink Jeep and we then we were off! 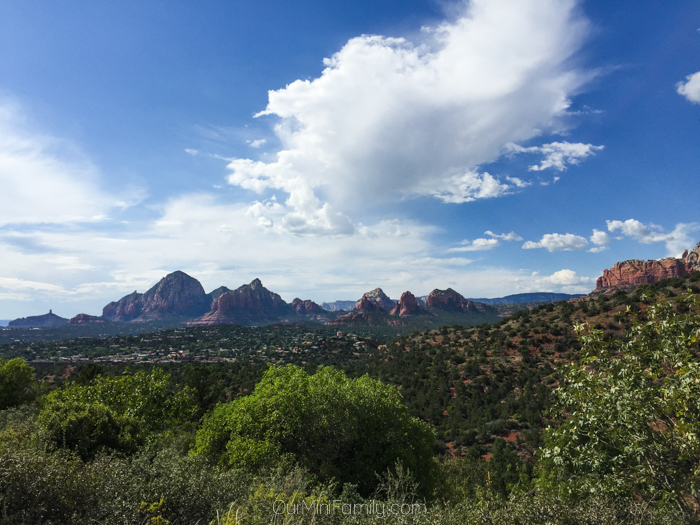 Riding in the back of a Jeep in the middle of the summer would normally would terrible since Phoenix heat is no joke, but up in Sedona there was a beautiful breeze and I loved having the wind in my hair! 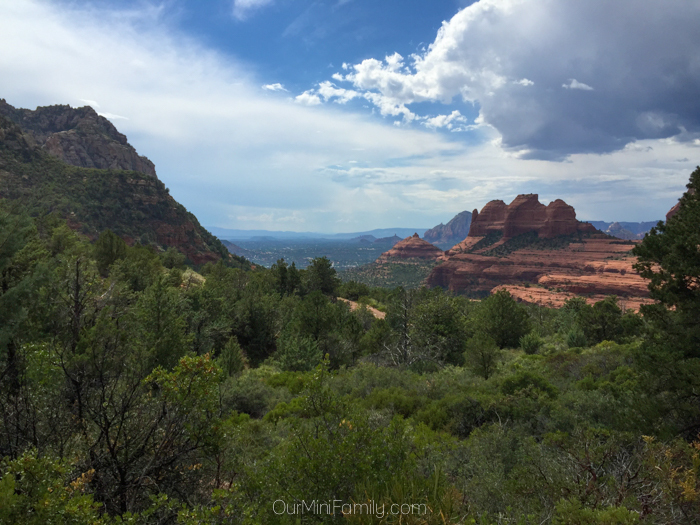 Check out this 10 second clip to see just how bumpy our ride was! I knew that going off-roading was going to be a blast! Before we buckled our seat belts, our tour guide told us that the back of the Jeep felt like a riding a mechanical bull, so obviously I took my spot at the back! YEEHAW! 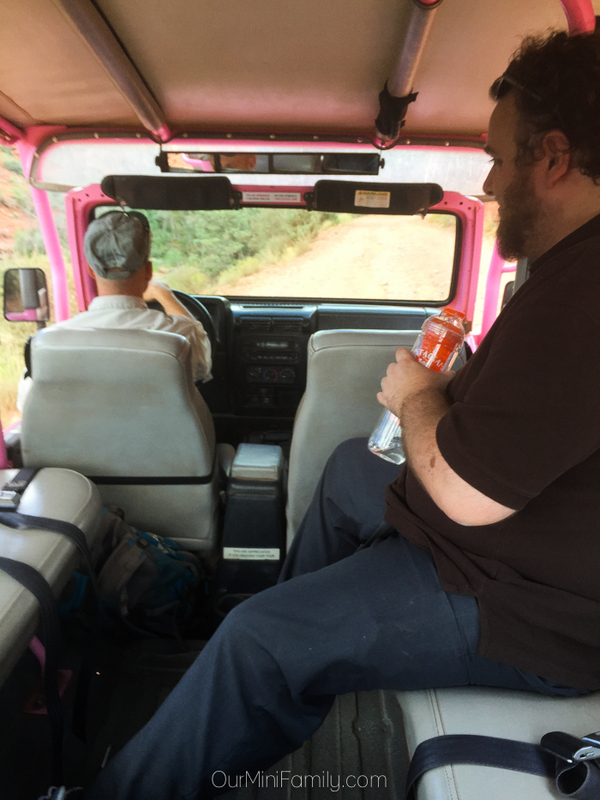 So, Adam and I bounced around in the back of the Jeep and giggled our way up the mountain. 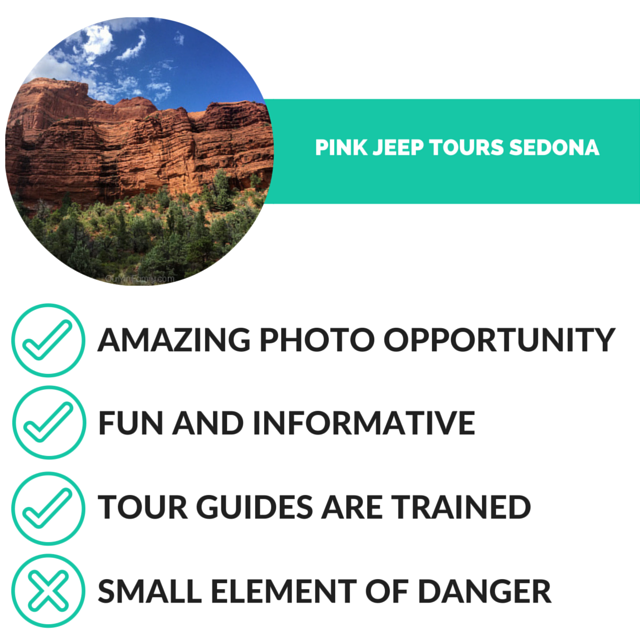 If you're thinking about taking a Pink Jeep Tour in Sedona--there is a small element of danger involved. Our tour guide (like all of their guides, as we learned) completed and passed a training class, but there were a few times we got precariously close to the edge of the mountain that I saw my life flash before my eyes. Adam and I are afraid of heights, but it was totally worth it! The whole tour on the way up was fun, informative, and exhilarating! The view from the top of our vantage point at the Scenic Rim Tour was unreal! It was unlike anything I've ever seen, and I could see for hundreds of miles in every which way. For the first half of our ride up the mountain, it was just Adam and I with our awesome tour guide. 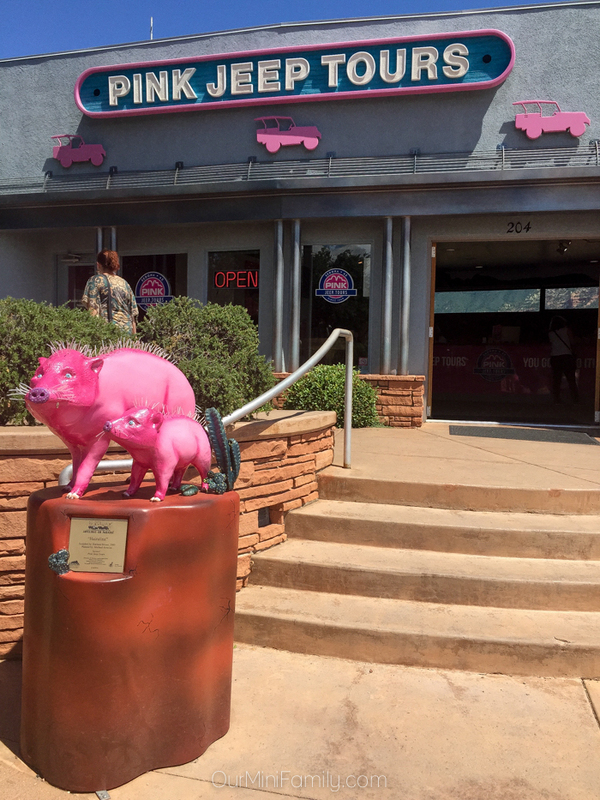 On the way down though, we saw that another Pink Jeep Tour had broken down and another tour guide was standing with another family--our tour guide volunteered to take the family back to the Pink Jeep Tours headquarters in our Jeep in Uptown Sedona, so it was not as personable or roomy on the way back. It was actually a really tight fit. Adam and I definitely had more fun on the way up than we did on the way down. Also, when we had started our Jeep back up once the family got into our Jeep, our very own Jeep's engine didn't want to to start at first either. It would seem that the Jeeps were a bit unreliable and may have needed a little maintenance at the time. Have you ever been off-roading before? 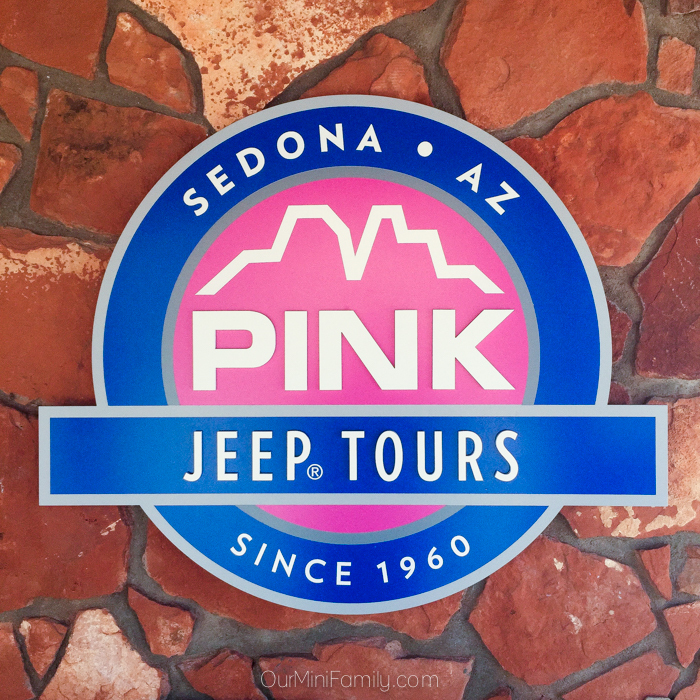 Thank you again to Pink Jeep Tours Sedona for hosting us! It was such a stellar time, and we're very grateful that we had the opportunity to enjoy this experience in exchange for sharing our unbiased and honest experiences through our blog and social media. 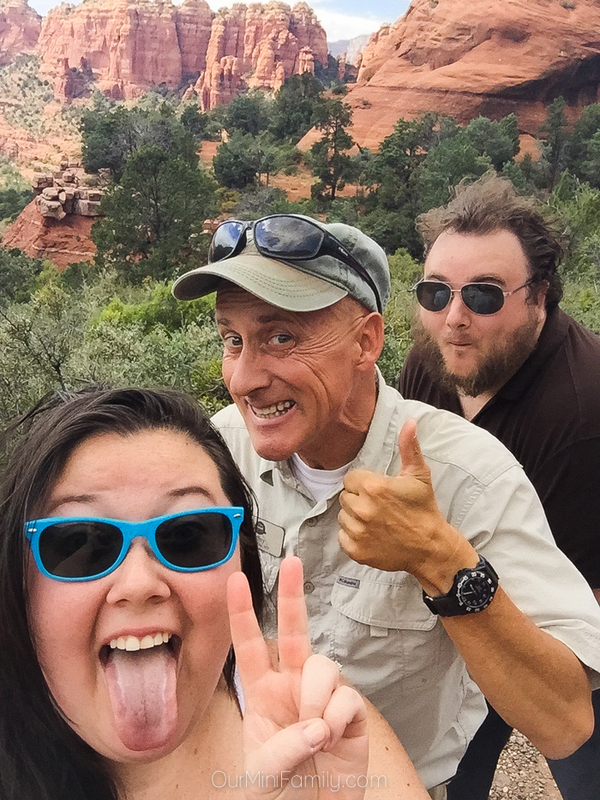 These images are amazing and it looks like you guys had a blast! Thanks for sharing! That is totally the way to go. 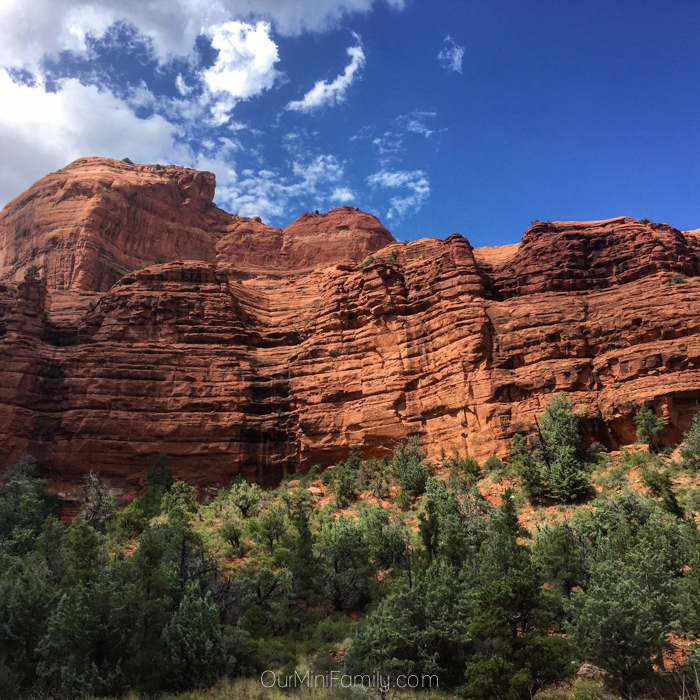 I drove from Vegas to the Grand Canyon and it was pretty dull, so this tour sounds awesome to me. I know this was quite an adventure and you two look like you had a great time! I love the color pink. My sorority sisters would love this Jeep also! Great write-up and great photos! Oh, how fun! It looks absolutely beautiful there. I love the coloring in the rocks! This looks like so much fun!! I would LOVE to do something like this! Everything looks so beautiful there!! What a great way to get to explore, the I love the color of the jeeps! Oh my gosh I'm going to Vegas in December for the National Finals Rodeo, but I think I may need to set a day aside to take one of these tours!!! So much fun! Oh my word! This sounds like so much fun! I would love to do this! 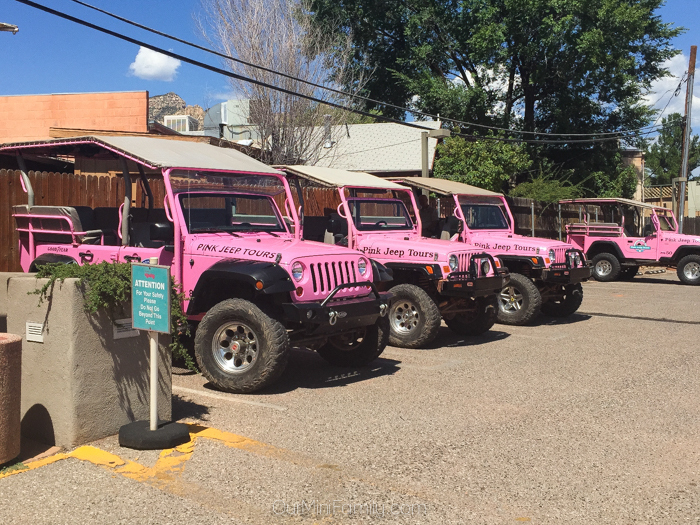 I love that the jeeps are actually pink! I think that would make me want to go on the tour! That sounds like an amazing scenic tour to take. Not sure I would not pass out from fright (from having someone else drive) or just keep my eyes clamped shut on those precarious roads but sure would like to try it! We used to love Jeeping when we lived in Utah! That's one of the major things I miss living in that area. 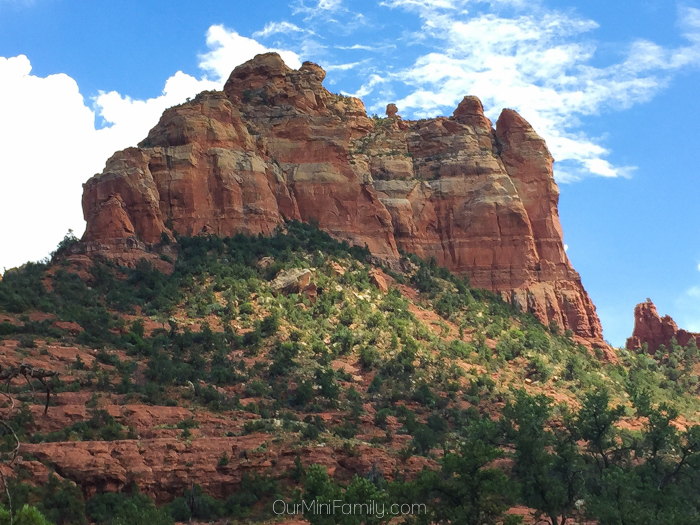 I have always wanted to visit Sedona. It looks so beautiful there!! All the pictures I see of that place are amazing! Love your photos! Wow, you really did get the offroad bumps and thumps, didn't ya? What a neat thing to do out there! 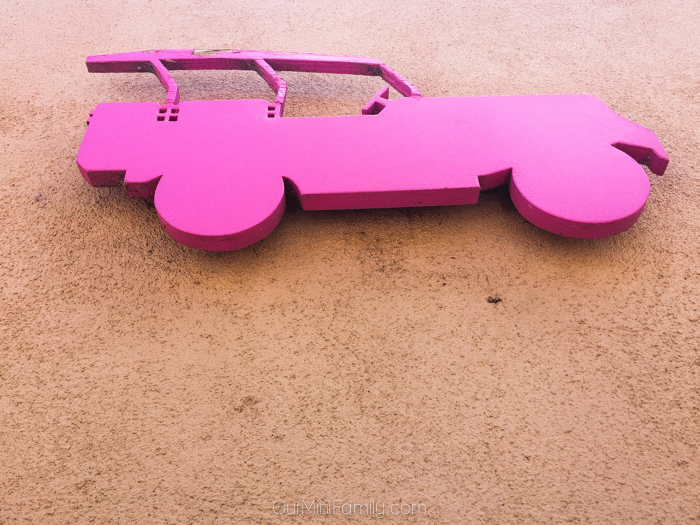 Your Pink Jeep Tour sounded like fun! 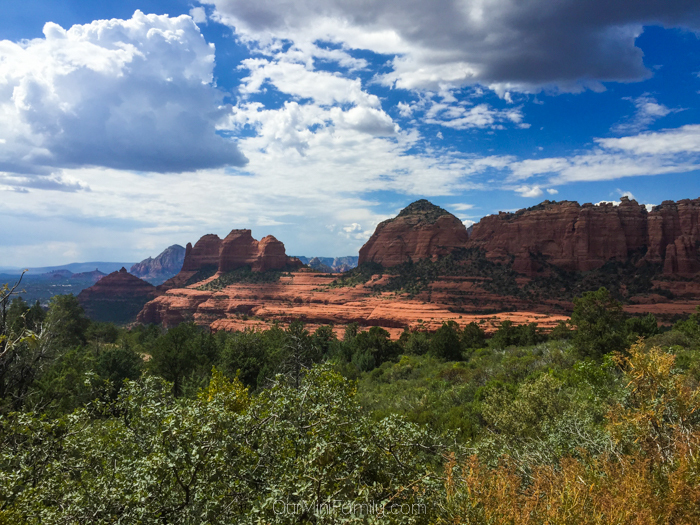 I've been through Sedona, and it's beautiful.